The Specialty Food Association (SFA) hosted its 44th Winter Fancy Food Show in San Francisco, bringing together thousands of food buyers and distributors. The SFA’s Winter Show is the largest West Coast marketplace devoted exclusively to specialty food and beverage producers and buyers. Global food analyst, Melanie Zanoza Bartelme shares her top five takeaways from this year’s Winter Fancy Food Show. 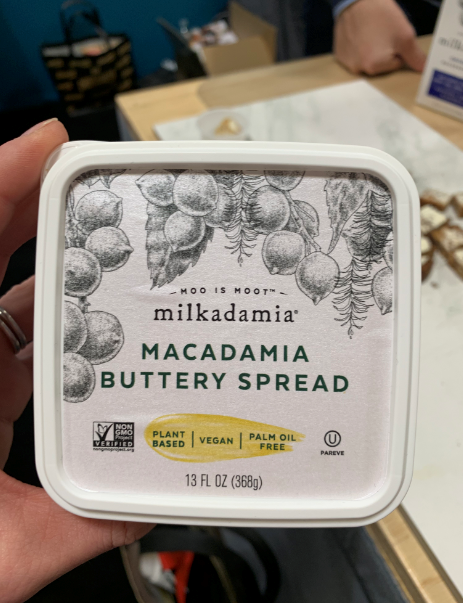 Meanwhile, Milkadamia evolved its macadamia nut milk into creamers and a tasty buttery spread. 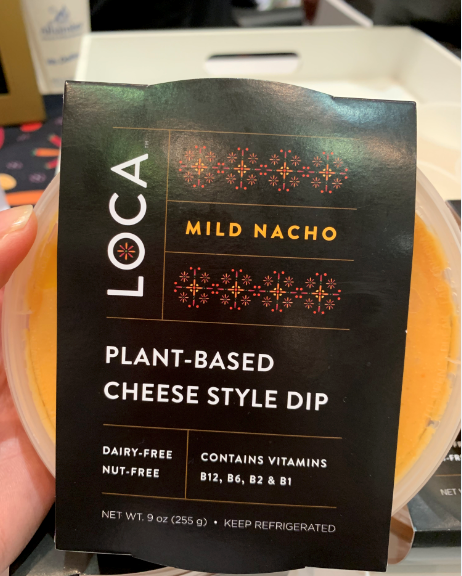 With more products offering alternative positioning and improved flavor, meat and dairy-free foods may tempt a growing group of so-called flexitarians, consumers willing to choose the occasional plant-based swap but who do not adhere to a vegan/vegetarian diet. Coconut as an ingredient is growing within US food and drink introductions launched in the past few years, according to Mintel GNPD. 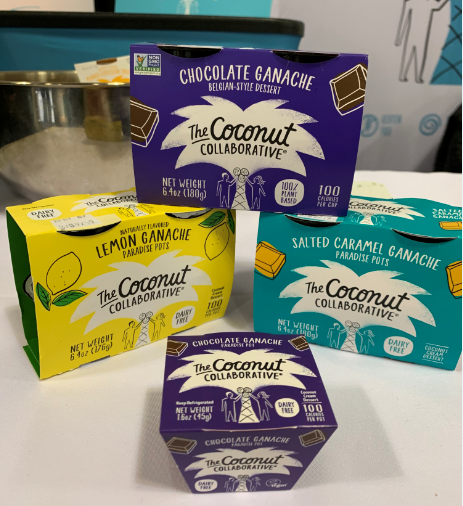 At WFFS, coconut continued to spread its reach, appearing in waters, juices, smoothies, tortillas, ganache pots, decorating sugar and yogurts, among other product types. While some companies may have originally gravitated to coconut for its ability to replace dairy and eggs, coconut has come into its own as a starring flavor, adding a rich, smooth creaminess to Green Girl Bakeshop’s ice cream and Petit Pot’s passion fruit and mango rice pudding pots. 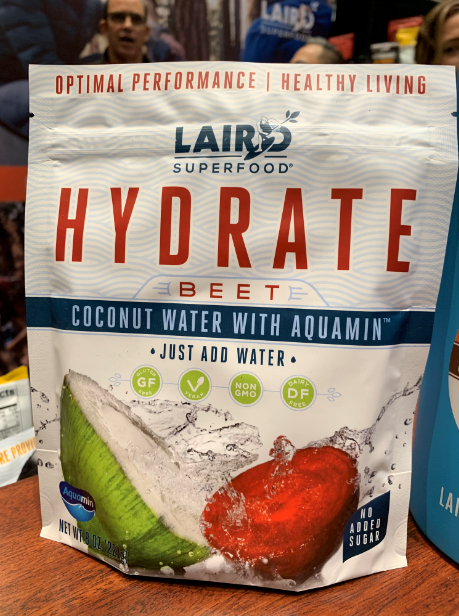 One especially interesting product comes from Laird Superfood, founded by surfer Laird Hamilton. The company’s freeze-dried coconut water is positioned as a convenient, natural electrolyte drink and also contains a proprietary marine, algae-derived calcium ingredient called Aquamin. The mixes are flavored with plant ingredients like matcha, beets and turmeric. Speaking of turmeric, the trendy ingredient that has become wildly popular as a flavor in US food and drink introductions, has made moves across categories as well. Turmeric can be found in ghee, ice cream, puffed lily seeds, smoothies, tea, and The Spice Lab’s Spicy Turmeric All Around Seasoning. 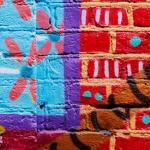 Three-fourths of US consumers acknowledge that what they eat affects their emotional well-being. 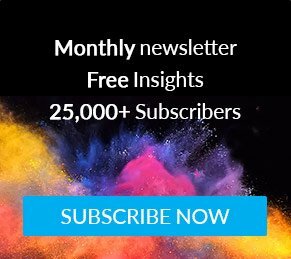 This notion may be partly responsible for the abundance of adaptogenic ingredients like ashwagandha, tulsi, ginseng, reishi, and cordyceps popping up in new food and drink introductions. Popular in Ayurvedic medicine, these ingredients are said to help manage stress. 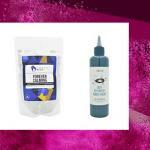 Adaptogens appeared across beverage types, including Sunwink’s De-Stress Herbal Tonic sparkling drink, Lumen’s Restore Hemp Elixir shots, Rebbl’s Super Herb Powered Coconut Milk Elixir smoothies, and Numi’s Holistic Teas. The Republic of Tea, meanwhile, introduced its line of SuperAdapt teas, including Burnout Blocker fueled by chaga mushrooms and Clarity and Calm featuring ashwagandha. 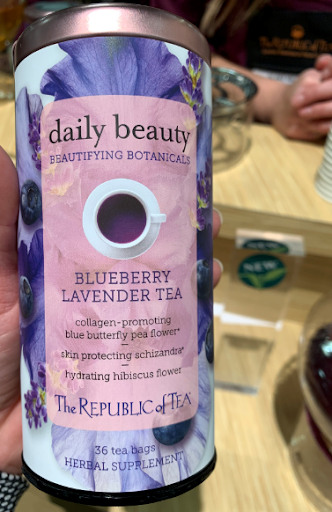 Botanicals are another form of plant-based power that has fueled beverages, including The Republic of Tea’s other new launch, Daily Beauty, a line of beauty-enhancing teas with ingredients said to improve complexion and sleep. 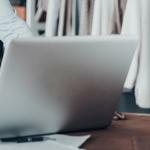 Consumers appear to have at least some familiarity with probiotics, with four in 10 US consumers saying they try to include probiotic foods in their diets. Consumers may have less of an understanding about prebiotics – the “food” healthy gut bacteria need to thrive. Prebiotics have been gaining some traction in the media and have made headway on the show floor, appearing across categories alongside probiotics to create holistic ally gut-friendly products. 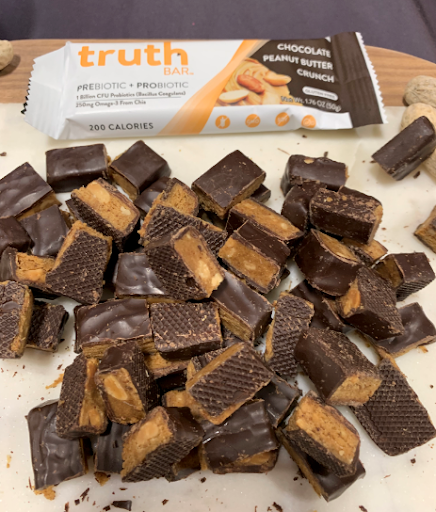 Truth Bar includes probiotics, prebiotics, and omega 3s in its bar to support daily digestion, while Vive Organic features probiotics and prebiotics in its coconut-based kefir shot. Meanwhile, ZenBasil offers its prebiotic basil seeds in a chewy-textured drink similar to chia. Basil seeds are said to provide twice the fiber, potassium, iron, and calcium as chia and are a source of fiber, vitamins, electrolytes, and antioxidants. Dried seaweed snacks have proliferated at Fancy Food shows over the past few years, offering bold flavors and a range of textures. As seen in the 2019 Mintel Food and Drink Trend, “Evergreen Consumption,” consumers are growing more concerned about sustainability. With a focus on the health of oceans, companies are expanding the use of sustainable “green” kelp, algae and other kinds of sea plants across categories. 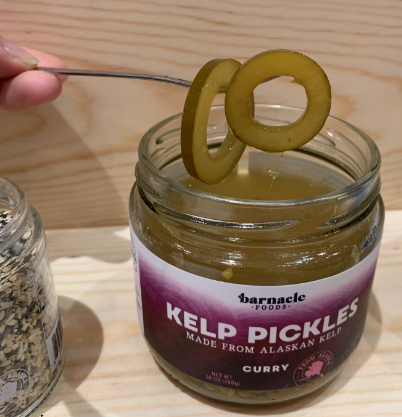 At WFFS, innovative products incorporated sea vegetables in new ways, including kelp pickles and salsa from Barnacle Foods. Ocean’s Halo, maker of kelp-based broths and snacks, drew on kelp and deep sea water to create a sustainable, hydrating superfood drink. Seaweed also migrated into pastas, including a wheat-and-seaweed blended rotini from seaweed company Blue Evolution, while Japanese company Base highlighted its “complete” pasta made with wheat, rice, chia, grapeseed oil, and seaweed. Seaweed was also used as a flavoring agent, in the form of furikake. This Japanese seasoning is made with seaweed and is typically used to top rice and noodle dishes. 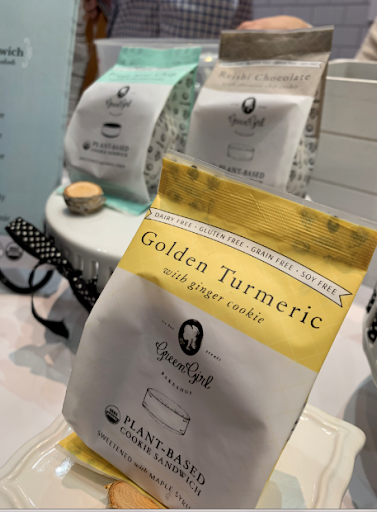 Furikake appeared in several snacking formats at the show, including Render’s State Bird Crunch quinoa snack and LoloYum’s Furikake Seaweed Snack Mixes, while Barnacle Foods also offered it as part of its line of kelp-based seasonings. 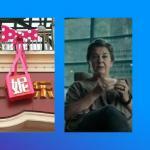 Follow Melanie on Instagram, where she spotlights innovative food products and menu items across her travels.